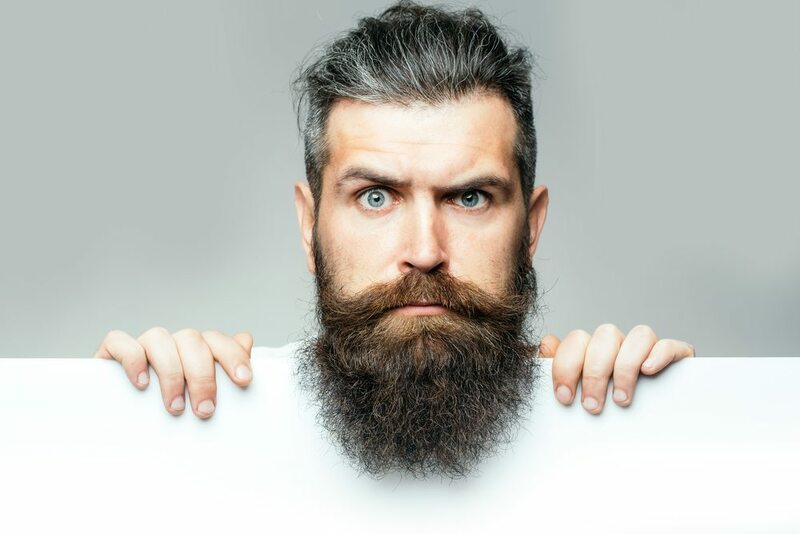 Beards are becoming more and more popular nowadays, and while they may look nice, they are also a lot of work. It’s important to keep your beard clean and looking good. No self-respecting man wants a gross looking beard. You probably already wash your beard, but chances are you use the same shampoo you use on your hair. Big mistake. Hair shampoo will dry out your beard and leave it all scraggly instead of full and luscious. After years of growing a beard I’m particularly proud of, I have had the chance to test many beard shampoo. One of them is the Professor Fuzzworthy’s Beard Shampoo. This shampoo has aloe leaf apricot kernel oil, juice, pine, cedarwood, eucalyptus, and vitamin E. I personally love the refreshing smell and how soft it leaves my beard. Voted #1 Best Beard Shampoo | Highest rated, Best price and highest quality! Shampoo bar Equivalent to 2 liquid shampoo bottles totaling 27fl Oz! Long lasting & Travel Friendly! Stop Washing Your Face and Beard with Harsh Synthetic Chemicals that stunt beard growth! Professor Fuzzworthy’s is especially useful for those of you with coarser beards. Don’t you get tired of your significant other always complaining about your beard pricking them? You’ll love this shampoo and so will they. It is also great when it comes to relieving itchiness. This one is awesome because it’s natural and organic. I love knowing that I’m not putting any harsh chemicals on my beard. Wild Willie’s is made with Aloe Vera leaf juice, Vitamin E, essential oils like peppermint, lemongrass, and eucalyptus. Wild Willie’s is also sulfate and paraben free. I feel so refreshed after using this wash love how clean I feel. I’ve used this product a lot and it is definitely one of the best on the market. And it’s hand-made! In the USA! I particularly love the verbena lime scent of this one. It’s a not scent you’d usually think would be good on a beard, but it’s truly amazing. Zeus includes a soothing natural blend of ingredients such as dragon’s blood, chamomile extract, and green tea extract. This one is also sulfate, paraben, and cruelty-free, made right here in America. This is the best beard shampoo for relieving itchiness and not drying out your beard. I also love the way Zeus makes my beard feel, it gets rid of all tangles and softens it. Back to the scent, though, it’s such a subtle yet pleasant smell to have right under your nose all day. I love how sleek the packaging of this one looks too. A gentle beard shampoo and wash formulated specifically for your beard and moustache. Bluebeards Priginal Beard Wash is especially gentle and it’s sulfate free formula includes ingredients such as honey, coconut, vitamin E, aloe vera leaf juice, and lime essential oil. This is another one with a pleasant smell. I especially love this one because it has built in conditioner. My beard feels clean and more moisturized after using Bluebeards. Bluebeards also leaves my beard with a beautiful shine that the others don’t and it’s perfect for when my beard is particularly frizzy. It can tame even the wildest beards and is the epitome of beard shampoos. While they are all great shampoos, and you should try them all, my personal favorite and the one I find myself recommending the most is Bluebeards Beard Wash. The conditioning agents in Bluebeards really sold me on it, making it the top beard shampoo. It’s also the top beard shampoo I’ve tried in regards to maintaining frizz. I used to find my beard getting out of control way too often, but since I’ve started using Bluebeards regularly, it’s become so much easier to manage and keep looking fresh. This is also my girlfriend’s favorite shampoo that I’ve tried, and if it makes her happy, I’m happy. A good beard shampoo won’t dry out your beard and will leave all the good oils your beard needs behind. You use beard shampoo exactly how you think it would. Pour some in your hand and then massage it all throughout your beard and rinse off. If you have a short beard, beard shampoo may not be something you need, but if you have a big beard, I would recommend adding this simple step to your shower routine.